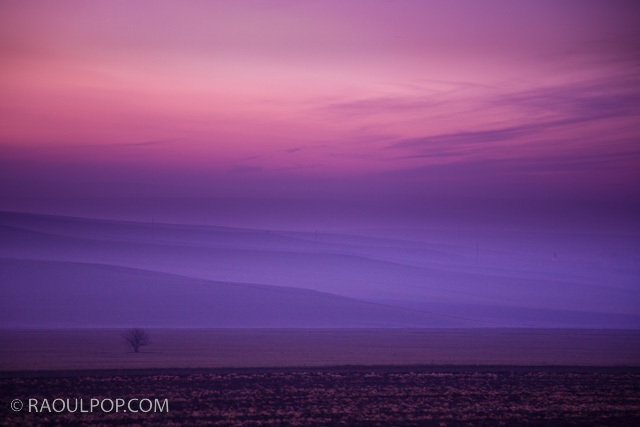 Fog rolls over the distant hilltops while darkness falls over the land. The sky is painted pink and orange with the last remnants of sunlight. A small tree stands alone in the foreground.